No matter how many miles are between you and them, love always finds a way! Our Send A Bear Hug Care package is stocked full of classic candies that everyone loves, a sweet and cuddly teddy bear that’s perfect for snuggling and some of our favorite gourmet popcorn flavors. 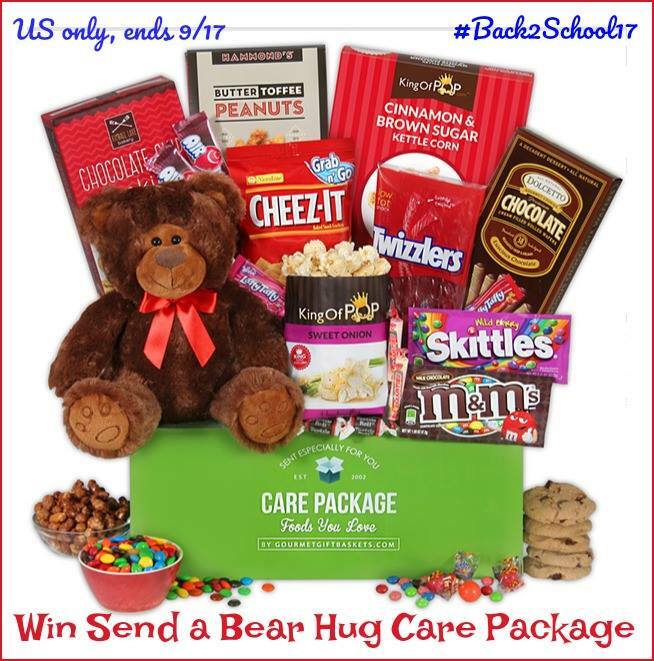 This sweet care package is bound to bring a smile to your loved one’s face! This would make the perfect gift for your college student who is living far from home for the very first time. 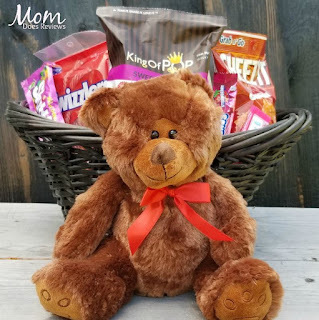 Not only will the snacks come in very handy--but that Teddy Bear will in all likelihood be placed prominently on her bed. Personally I wish someone had sent this to me when I was in the hospital-the food was atrocious! How about that housebound senior you know--they could use a gift basket to make their day. Gourmet Gift Baskets always has just the right basket and assortment for any occasion-they are always sure to please. One lucky reader will win a Send a Bear Hug Care Package- $60ARV! my favorite snack is M&ms!! I love them anytime of the day! they always make everything better seriously! Cheez-Its are my favorite snack in the basket. I love Skittles and Twizzlers! Popcorn is always a great snack. What a sweet basket! I would love to try the popcorn, but my husband would want the Twizzlers! The Cheeze-Its. I would love this. i love all of them twizzlers are my fav!